THE STORY - If you have a problem and there is nowhere else to turn, the mysterious and elusive Robert McCall will deliver the vigilante justice you seek. This time, however, McCall's past cuts especially close to home when thugs kill Susan Plummer -- his best friend and former colleague. Now out for revenge, McCall must take on a crew of highly trained assassins who'll stop at nothing to destroy him. "The Equalizer 2" is a poorly crafted, typical and below the bar summer movie release that is practically no good all around. While it is fun to see Denzel Washington get back into another action role, the magic from his action classics is not recreated here. Antoine Fuqua continues his streak of disappointing movies with this project which is upsetting considering how much promise he had early on in his career, especially with another Denzel Washington led vehicle that won the Actor a Best Actor Oscar ("Training Day"). The supporting cast in the film is absolutely wasted and the action is nothing new and rather boring, making for the worst offense of all. To sum it all up, "The Equalizer 2" is a disappointing summer release that is easily forgettable. Why Denzel Washington chose this to be his first sequel, we'll never know. There isn't much to pull from the plot of "The Equalizer 2" but the film is a simple revenge flick. After the murder of one of Robert McCall's (Denzel Washington) old friends, back from when he was a full-time secret agent, he sets out to hunt down each and every person involved and kill them. With his balanced moral compass, McCall also sets out to protect a young child, much like he did in the first film, with this time being Miles Whittaker (Ashton Sanders). "The Equalizer 2" is a bit all over the place in terms of which story it would rather focus on and sadly it cannot capitalize on either one. While there was not much hope for this undeserving sequel, it is almost still a complete flop. Not only is the story frustratingly one-dimensional but the action is bland and repetitive. Usually, if the story of an action film is bad, the action itself is somewhat redeemable but that is not the case here. Fuqua and Washington definitely are charting lazy territory here where not only do they not set out to achieve anything new but what they do achieve is just flat out boring altogether. The editing isn't tight, the shot sequences are mundane, and nothing connects cohesively making for a rather unpleasant experience. While the film is not necessarily enjoyable, it is kind of fun to see Denzel Washington reprise another action role. Known for balancing his dramatic work with his more blockbuster action work, to see him deliver that stoic and mild-mannered performance that is reminiscent of his "Man On Fire" days is rather intriguing. It's a different side of Denzel that we don't get to see that often. It's more subtle and more reserved compared to his flashier performances. He gets to shine with some decent dialogue and casts a different kind of mood over the entire film. One that is grounded and serious which if it wasn't for the failure in delivering the action sequences, would make us care more about this film. Sadly his charisma isn't enough to carry the story but it still is something that fans of his work will turn up to see regardless. Even if the film around him is not delivering, Denzel always delivers. The direction from Antoine Fuqua is possibly the most disappointing aspect of the whole film. Fuqua had a pretty solid start to his career back in the late 90's and early 2000's. He made entertaining action films that did have a bit more substance than your standard releases at the time. Unfortunately, he has shifted into creating more middle of the road, big-budget studio projects that end up being rather sour all around with no heart, energy or creativity to show for it. "The Equalizer 2" is now only the latest film to be added to an ever-growing list of misfires from the once-promising director. "The Equalizer 2" is lacking in originality and fails in its execution, making it just another simple summer release that will be easily forgotten about in the coming months. 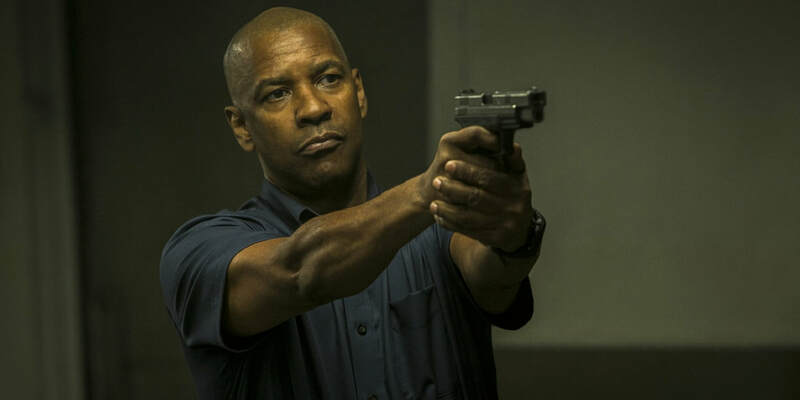 Despite an exciting action resurrection from Denzel Washington, who is clearly one of our greatest living actors as evidenced by his ability to make even the most boring of films somewhat watchable, the overall film is still bland and poorly crafted. With a wasted supporting cast in Ashton Sanders and Pedro Pascal, there is little to nothing that saves this project other than the mere presence of Denzel. "The Equalizer 2" isn't the worst film in the world but there definitely should not be an "Equalizer 3."